LA Roma Films is delighted to announce the World Premiere of the documentary BOSTON has raised $76,000 for the Martin W. Richard Charitable Foundation. Funds raised will be used to support Martin’s Park, a universally accessible park for families and visitors of all abilities located in Boston along the Fort Point Channel. Directed by award winning filmmaker-marathoner Jon Dunham, well known for his “Spirit of the Marathon” documentaries, produced by Academy Award nominee Megan Williams and filmmaker Eleanor Bingham Miller, and executive produced by Academy Award nominee Frank Marshall, author-historian Tom Derderian, and executive financial manager David S. Williams, BOSTON is a presentation of John Hancock in association with The Kennedy/Marshall Company. The documentary chronicles the celebrated history of the Boston Marathon, from its origins in 1897 through 2014’s triumphant race, and features many of the greatest marathoners ever to have run the Hopkinton to Boston route. The filmmakers spent three years recording interviews with champions and runners from around the world, as well as the stories of members of the Boston Marathon communities. The production was granted exclusive documentary rights from the Boston Athletic Association to produce the film and to use the Association’s extensive archive of video, photos and memorabilia. The film is narrated by Academy Award winner Matt Damon (“Good Will Hunting”) and features an original score by Emmy Award winner Jeff Beal (“House of Cards”) recorded by members of the Grammy-Award winning Boston Symphony Orchestra. The BOSTON World Premiere, presented by John Hancock and The Boston Athletic Association, with support from WBZ-TV, took place at the Boch Center Wang Theatre in Boston on April 15, 2017. 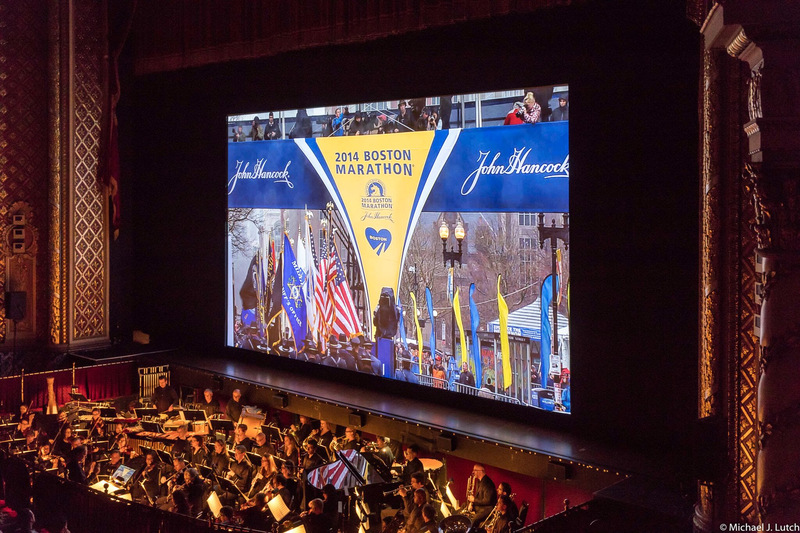 Beal conducted a live performance of his original BOSTON score by the Boston Pops Esplanade Orchestra during the screening. The special performance of the Boston Pops Esplanade Orchestra was underwritten by Owsley Brown Presents, in partnership with Benjamin Worth Bingham Miller Productions. Additional sponsors of the Premiere included Clif Bar, Rainier Fruit and Poland Spring. The Martin W. Richard Charitable Foundation is named in honor of Martin Richard, who was eight years old when he was tragically killed on April 15, 2013 on Boylston Street. His Foundation strives to encourage both youth and adults to improve the lives of others and become bridge builders, peacemakers, leaders and change-makers by being kind, compassionate and committed to inclusion and the acceptance of diversity. A portion of every ticket sold to the World Premiere was designated to support the Foundation. Additional donations were made from attendees, sponsors and the public.